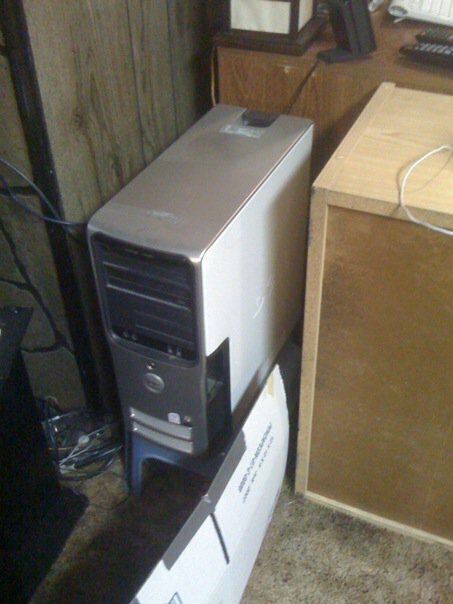 It’s a quad-core with a nice graphics card in it, 8GB of RAM, Blu-ray player and a 1TB hard drive. That’ll do, pig. That’ll do. What are the specs on your new computer? 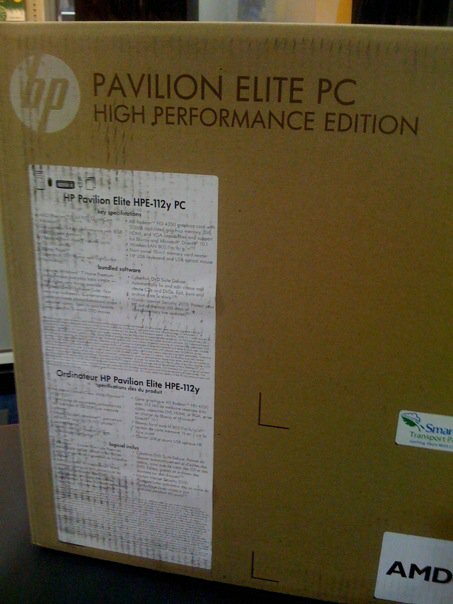 Ah the feeling of getting a new computer. Reading about yours makes me want to impulse buy new parts for mine. I’m trying to wait until early next year though. Enjoy the new computer. You didn’t build your own? GASP! Congrats Syp, that looks like a great machine. Is that lamp beside you monitor as bright as it looks? Does that not distract you from the screen? Wow, nice! You’re not alone in the unveiling of new computer stuffs. My geeky husband is the same way. It usually takes the better part of an entire day by the time everything is cleaned/wires are ran/hardware is rigged/etc. I don’t get that thrill unless I build it myself. Picking out each and every part is fun. Opening up each part one by one is exciting. Putting them together is fantastic. Firing it up for the first time is glory. Gratz on the new machine! Now the fun of installing everything onto it hehe. 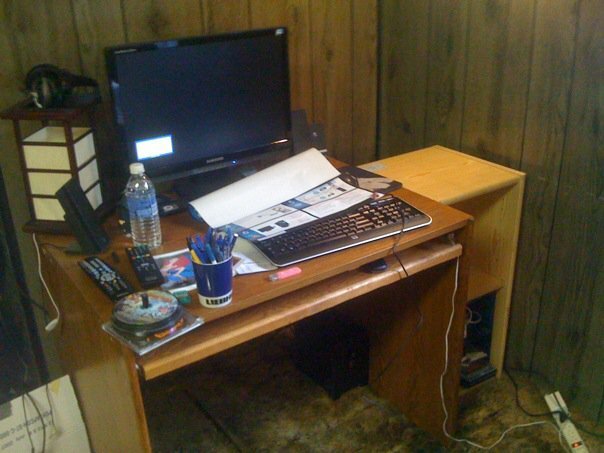 I figured most pc game bloggers to be tech savvy, you save more money in the long run building your own, you know what you put in and what you can upgrade later on. Congrats, Syp! I love the feeling of settling in with a new computer. I expect my next computer purchase will be a MacBook Pro (15 inch) and a nice (antique if I can afford it) rolltop writing desk to go along with it. I assume this one has Windows7. Have you messed with it much before this computer? I got it a while back and absolutely /love/ it. Thats pretty sweet, what kinda gaming do you do on that bad boy? – I did not build it myself… I really don’t have the time to do so, so a prepackaged computer is fine with me. I will be upgrading it in the future, especially the graphics card (probably in the next year or so). – I haven’t messed with Windows 7 too much prior to this, need to really sit down and learn the ins and outs of it. So far, it is a great improvement on XP in many ways. – The lamp is actually pretty dim (25 watts)… just looks bright in the picture. A new computer is totally sacred for me. It takes months for the whole thing to come together. 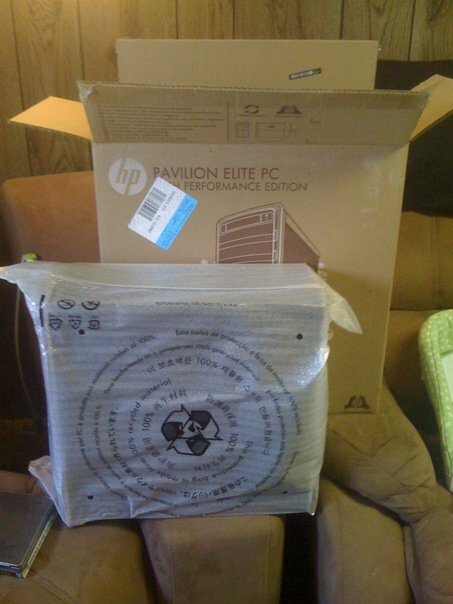 First I put my dream basket together on Overclockers – my personal SkyNet. Then I despair for I could never afford such a machine. So I put the budget basket together – my personal Holly. Then I find the balance between things I need and things I want. 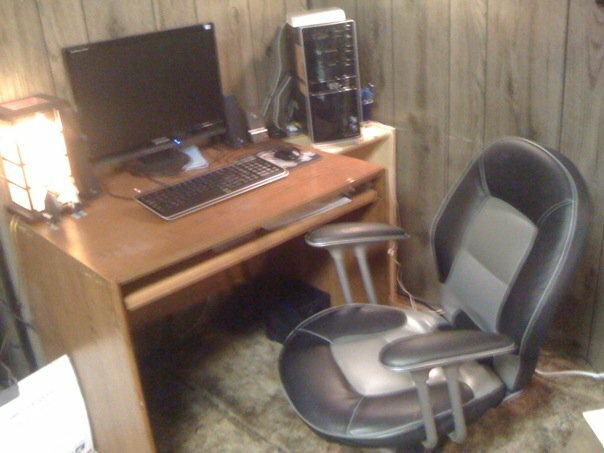 The extra weeks of deliberation have increased my savings and therefore my budget and it all comes together as an up to date gaming rig. Then it get’s delivered (usually to my neighbour whilst I’m at work. She’ll chap my door at 11pm or something to mention I have a package…). I start the assembly, cut my fingers on the casing, smear thermal paste across my face and wrestle that stupid oversized GFX card into the stupid case with 70 HD bays. I go outside for a smoke, drink some juice and scream into my pillow. The fan isn’t connected. I connect it. Gratz on the new computer. Looks great – hope you follow up with your thoughts on the new hardware and OS. Still running XP here on a duo core 2.66 machine. Still serves me well at the moment. As you stated time and my sanity are a big factor when I decided to buy pre-made. I purchased my current system from pugetsystems.com and they did a great job. Even if you don’t buy from puget you can use their on-line computer builder to put together a great looking machine, price it out and see if the difference between buying yourself is worth the time. Heeeyyyy You bought my computer, only better! Nice. I bought mine 2 years ago now. It’s in the same line as yours only mine is much less powerful. Hope you have many fun nights gaming on that. Sounds awesome! Gratz on the new computer. The only real downside to buying rather than building is that you need to download and run PC decrapifier before the new PC is fully functional.